I refuse to use the internet on April Fools day. Everyone wants to pull a prank to garner a little buzz, and frankly it’s annoying. It’s not that I don’t find it funny, because I do, it’s just that I hate having to second guess everything I read all day. So my tradition is to avoid the internet until that night, and search for some “best-of” april fools jokes lists. This year, there were three that made me laugh. 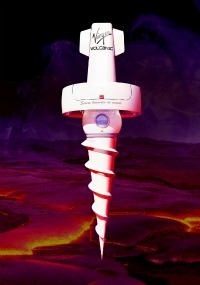 The first one was a press release about a new venture by Richard Branson called Virgin Volcanic. It’s a volcano ship that will run tours to the center of the Earth, which is kind of funny in its own right. But what cracked me up is that only Richard Branson would be crazy enough to attempt something like that, and if it were scientifically possible, I would fully expect him to try it. The second is actually several April Fools jokes in one. In my opinion, ThinkGeek would take the cake for best April Fools joke every year, if it weren’t for one thing… the joke part. What I mean by that, is that they always launch a line of products that are hilarious, but fake. I would actually buy this and this, and out of sheer curiosity, this. Why don’t they actually make these things and sell them to me? The third and best April Fools joke of the year is from Google. I wasn’t a huge fan of their Nascar prank, but the 8-bit maps one is amazing. You’ve probably already tried it out, but if you haven’t, experience the 8-bit Google Maps here. Don’t forget to zoom in to street view. If there are other good April Fools jokes that I missed, let me know in the comments.